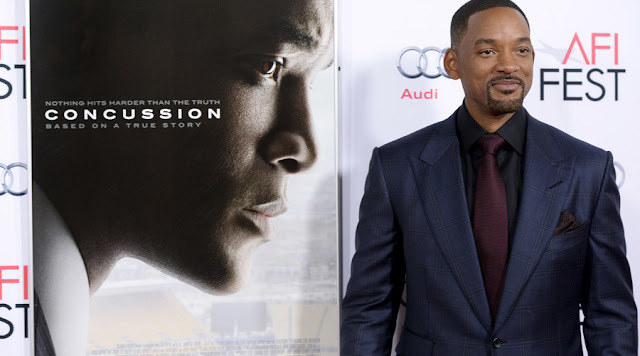 Behind every great movie there is a story and today we share with the story behind the new Will Smith Movie Concussion which is based on true life. Concussion is a story of a Nigerian Neuro-Pathologist Omalu Bennet who revealed the link between head injuries and the degenerative brain disease known as chronic traumatic encephalopathy (CTE), which the NFL was resistant to accept. The movie which opened few days ago in several cinemas across the world, is based on Bennet’s fight to publicize his research findings revealing the brain damages on NFL players. “My son played football for four years at Oaks Christian High [in Westlake Village, which is a football powerhouse,” Smith recalls. “So for me, it was really conflicting. And when I sat down to meet with Bennet, I was hoping, ‘Please say something to me [to convince me] to not take this movie. Please.’ “ But it happened because the truth had to be told. In the morning of the next day, Will was already sold and he took on the movie. Concussion is one great movie and we do recommend it for you.